Solar power is an excellent source of energy for residential and commercial units. 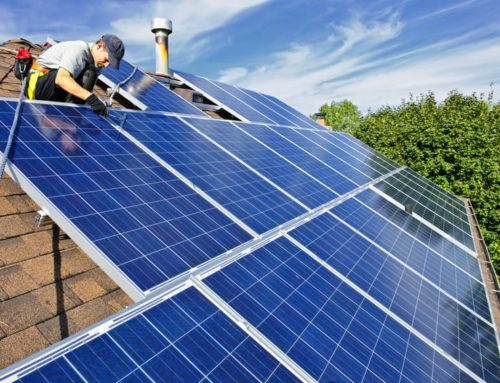 As a matter of fact, solar energy is sustainable and renewable, and for this reason, the solar power systems are growing in popularity every year. With many renowned solar power companies in Marin County such as ‘Suntegrity Solar’ offering a complete range of solar power solutions, you can easily get a solar energy set-up installed in your homes and offices to start saving on your monthly energy bills. Solar power systems are extraordinarily functional andcan generate adequate amounts of transformed electrical energy to help you switch to a cleaner and better alternative for energy use. However, if you are concerned about the performance and efficiency of solar panels in a cold climate or the impact of winters on your solar energy arrangement, you need to continue reading below. Do Solar Power Panels Work in Winters? It is a common myth that solar power panels do not perform well during winters. After all, the days are shorter, and the temperature is low. However, the fact is that the efficiency of solar panels is least affected by the outside temperature, and most affected by the amount of sunlight falling on it. The cold climate of winters typically improves the solar panel output by reflecting more light, and hence, enhancing the Photovoltaic performance. The cold temperatures also help solar panels to convert energy more efficiently. In this way, solar power panels can perform better in colder climates. Winters can only break the power production of your solar power system if your solar panels get covered with snow. The coming of winters does not mean that your solar power system will stop producing energy. Solar power panels only require light to continue with their optimal performance. The energy producing efficiency of solar panels is less affected by heat and cold. No matter if the weather is extremely hot or freezing cold outside; the performance of solar panels only gets affected by the amount of light that they receive. If you are interested in using clean and eco-friendly energy to power your household, then you can choose from the top-rated solar power companies in Marin County like Suntegrity Solar to get your own solar power set-up. At Suntegrity Solar, we offer a complete range of smart energy solutions to our clients. You can reach us at (707) 623-1464 or fill out the form provided below to book a consultation with our team of experts.